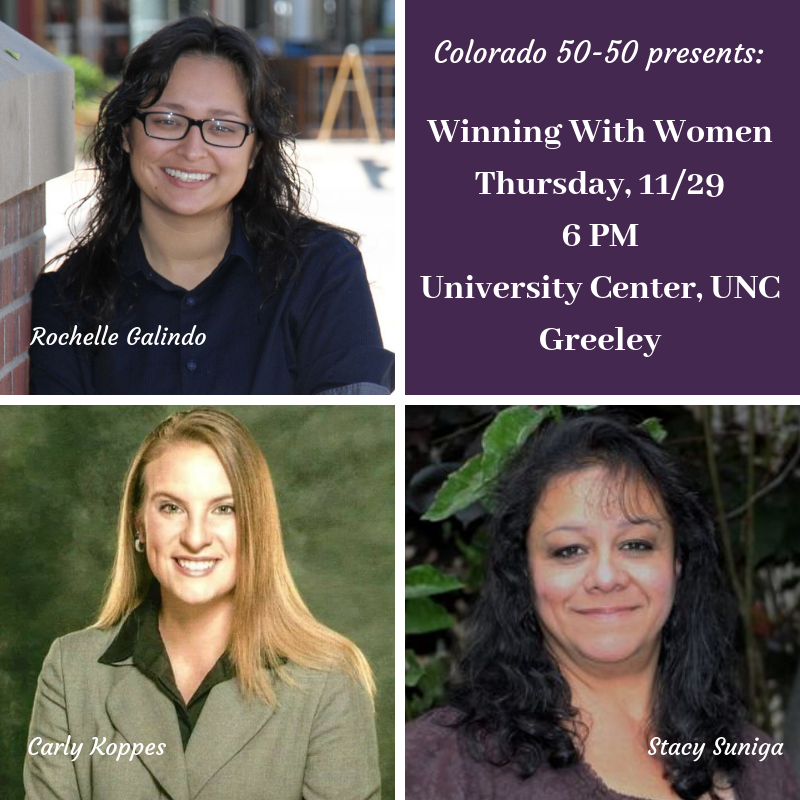 Winning With Women will be happening at UNC in Greeley on Thursday, November 29, at 6 PM. Colorado 50-50 is happy to announce the panelists for our upcoming event! We invite you to join us on Thursday, November 29, 2018, at the University Center at the University of Northern Colorado in Greeley. Doors open at 6 PM. There will be information from our sponsors Electing Women, League of Women Voters, and the University of Northern Colorado Political Science Department. We will also provide handouts and maps about local offices, boards, and commissions. The panel will begin at 6:30 PM, followed by an intentional networking session. Light refreshments will be served.